Which project management training is right for you? Lottie Watters, a Devex Reporting and Communications Associate based in Barcelona, has published this amazing article about project management certifications and courses, which includes PMD Pro as one of the top three recommended by global development professionals. Project management certifications offer the skills to successfully see a project through from start to finish. 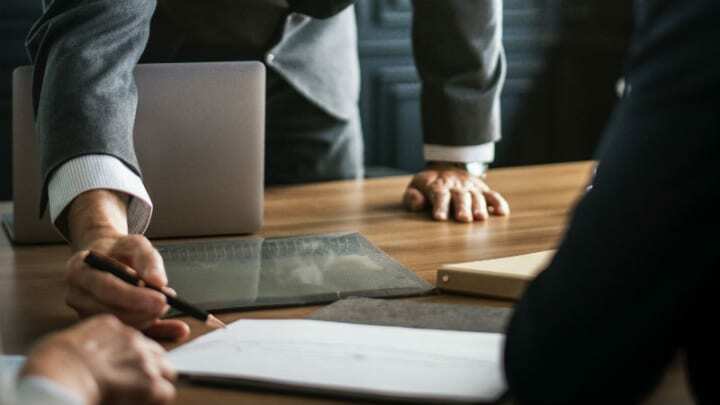 But with a wealth of project management courses out there, it can be overwhelming to figure out which course is best — particularly as many courses are designed for the private sector. Different certifications — such as PMP, PRINCE2, and PMD Pro — vary in methodology, complexity, and time required to complete them. It is therefore key to select training best-suited to your field and line of work. “It is important to do your own research on the development area, industry, or specialist profession you are in or aiming for. Once you have done that, you will have narrowed down the options and should choose the methodology that you feel comfortable with,” said Dave Bain, senior project manager at New Zealand Christchurch City Council, who has completed the PMP, PRINCE2, and Lean Six Sigma courses. This article originally published on Devex. Follow the link below to read the full article. The Alan Harpham Award honors and recognizes an individual with distinguished actions in promoting the professionalization of project management in the international development and humanitarian sectors. The selected winner demonstrates not only leadership in advocating for project management professionalization within the sector, but also in making it available to those who are most in need and to a range of stakeholders in the sector such as community based organizations or local NGOs. The award is named in honor of Alan Harpham, former Board Member of PM4NGOs and Chairman of APMG, and a global citizen dedicated to making this sector and community a better place. 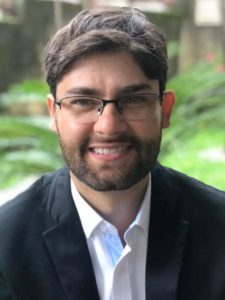 PM4NGOs and APMG are delighted to announce that the recipient of the Alan Harpham Award in 2018 is Cristiano Moura, Social Development Project Manager at ChildFund Brasil. 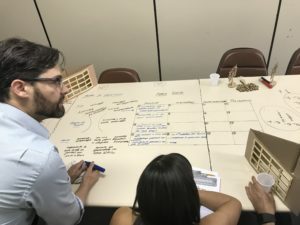 Inspired by the democratization of information and access to management tools provided by the PMD Pro Guide, Cristiano Moura developed a method to train the visually impaired in project management, specifically in the initial phase of the Project Life Cycle. His method proposes that the visually impaired can design projects, improve management, attract resources and be recognized professionals of the social development sector, after all, now they can see how to make a good justification of their projects and design structured projects, taking into account the tools of Identification and Design of Design, as Tree of Problems, Tree of Objectives and mainly the Logical Framework. Eyes of a visually impaired person are also in their hands, so the idea was to enable them to experience the tools through touch. There was a problem that in an expositive class would be extremely complicated to work with this audience. So, some questions guided the creation of this method, for example: “how to explain and make visually impaired that at the time of justifying the project we would have to use a problem tree?” “How could we make them understand that in roots, trunks and branches, we would have causes, central problem and effects?”. Click here to read more about Cristiano’s initiative and how the developed didactic resources contributed in the end to having a Logical Framework written in Braille. We at PM4NGOs as well as the team of APMG International congratulate Cristiano Moura and wish him all the very best in the future to succeed in the field of Project and Program Management for NGOs. PM4NGOs is an international non-profit organization that seeks for an equitable and sustainable world where social investment achieves the greatest impact. PM4NGOs promotes excellence in the management of social investment projects and programmes through the creation and development of best practice guidance for development professionals, certification schemes for those working in the sector who will be proud to hold an internationally recognised qualification and a forum for communication and discussion about international development sector best practice. The PM4NGOs mission is to promote and sustain the professionalism of program and project management in the international development sector. APMG International is a global accreditation body specialising in professional certifications to help individuals and business deliver best practice solutions. Our portfolio includes a host of industry recognised certifications; Certified Public-Private Partnerships Professional, Forest Garden Training Certification, Praxis Framework™ and Change Management. During the past 25 years APMG International has worked with over 550 Accredited Training Organizations and Scheme Owners across the globe. Over 2 million candidates from 100+ countries have taken an APMG exam in 21 languages. Our examinations are rigorous, challenging and consistent so that candidates can be proud of their achievement. As Chairman of the APM Group from 1997 to 2014 Alan worked tirelessly to build APMG’s international networks and reputation. Apart from his professional career, Alan was dedicated to serving his community. His portfolio of pro-bono activities included chairing the Ecumenical Partnership Initiatives Limited, where he also served as a volunteer chaplain to the East of England Ambulance Service. He was a director of the International Center for Spirit at Work; a board member of the Cranfield Management Association, and a Certified Management Consultant and Fellow of the Institute of Business Consultants. Alan was also a member of the Worshipful Company of Management Consultants and was a pro-bono mentor and consultant. A Enactus Brasil e o PM4NGOs firmaram parceria neste mês de novembro para ampliar a promoção e compartilhamento de metodologias e boas práticas com estudantes da Rede Enactus no Brasil. A Enactus Brasil é parte do programa Enactus, presente em 36 países ao redor do mundo. Trata-se de uma rede de estudantes, líderes executivos e líderes acadêmicos, que fornece uma plataforma para os universitários criarem projetos de desenvolvimento comunitário que colocam capacidade e talento das pessoas em foco. Os 2.800 estudantes universitários que participam do Programa da Enactus Brasil e desenvolvem mais de 210 projetos, serão acompanhados de perto e receberão apoio do representante do PM4NGOs no Brasil, Dov Rosemann. “O perfil dos estudantes que participam do programa é de pessoas engajadas com os desafios socioambientais de nossos tempos. Colaborar com essa geração de futuros líderes é ao mesmo tempo uma honra e uma ação estratégica para o desenvolvimento de uma cidadania ativa e responsável”, afirma Dov. Além do acesso aos guias de boas práticas PMD Proe PgMD Pro, todas as metodologias e ferramentas do PM4NGOs, os estudantes que obtiverem a certificação uma das certificações do PM4NGOs terão acesso ao programa de integração e desenvolvimento profissional contínuo PMD Pro+. Segundo Vitor Vannucchi Ungari, Gerente de Programas da Enactus Brasil, “através da ação empreendedora e sustentabilidade, os projetos buscam melhorar a vida de comunidades em situação de vulnerabilidade social. Os desafios são muitos e a complexidade é grande, mas sabemos que não mudaremos nada sem colocar as ideias em prática e executar nossos sonhos grandes. A parceria entre PM4NGOs e Enactus ajudará a profissionalizar ainda mais os projetos, buscando melhorar o desenvolvimento dos estudantes e consequentemente o valor gerado nas mais diferentes comunidades”. Enactus é uma organização internacional sem fins lucrativos dedicada a inspirar os alunos a melhorar o mundo através da Ação Empreendedora. A Enactus Brasil é um dos 36 países ao redor do mundo que opera o programa Enactus. Somos uma rede de estudantes, líderes executivos e líderes acadêmicos, onde fornecemos uma plataforma para os universitários criarem projetos de desenvolvimento comunitário que colocam capacidade e talento das pessoas em foco. Com isso, nossos alunos fazem da Ação Empreendedora a ferramenta que transforma vidas. E a transformação acontece dos dois lados: as pessoas que servimos e os alunos, que desenvolvem valores para se tornarem os verdadeiros líderes do futuro. Assim como no mundo dos negócios, acreditamos que a competição estimula a criatividade e recompensa resultados. Para a Enactus, isso significa mais vidas impactadas. Uma série anual de campeonatos nacionais fornece um fórum para as equipes mostrarem o impacto de seus projetos, que são avaliados por executivos. O Time Campeão Nacional avança para a prestigiada Enactus World Cup, onde tem a oportunidade de vivenciar a celebração da excelência e colaboração. O PM4NGOs é uma organização sem fins lucrativos internacional que almeja por um mundo sustentável e equilibrado onde o investimento social em projetos e programas alcança o maior impacto possível. O PM4NGOs promove a excelência na gestão de projetos e programas através da criação e desenvolvimento de guias boas práticas para profissionais de desenvolvimento social, certificação para aqueles trabalhando no setor social que desejam adquirir uma qualificação internacionalmente reconhecida, e mantém um fórum para comunicação e discussão sobre as melhores práticas para o setor de desenvolvimento social. A missão do PM4NGOs é promover e apoiar o profissionalismo da gestão de programas e projetos no setor internacional de desenvolvimento social. Enactus Brasil and PM4NGOs announce their partnership to share methodologies and best practices with the students of the Enactus Brazil Network. Enactus Brasil part of the Enactus Program, present at 36 countries across the globe. The program is a network composed by students, executive and academic leaders, that offer a platform for university students create and implement community development projects, with focus on people talents and capabilities. The 2,800 university students who participate in the Enactus Brasil Program and implement over 210 projects will receive close support and guidance from the PM4NGOs represent at Brazil, Dov Rosemann. “The students who attend the program have a socio-environmental engagement profile, focused on actual challenges. Collaborating with these future leaders is not only an honour but also a strategic action to develop responsible and proactive citizens”, says Dov. Enactus is an international non-profit organization dedicated to inspiring students to improve the world through Entrepreneurship Action. Our Students make the Entrepreneurship Action the tool that change lives. The transformation happens on both sides: people we serve and students, who develop values to become the true leaders of the future. Likewise the business world, we believe competition stimulates creativity and generate results. To Enactus, this belief means impact to a bigger number of lives. A series of annual national contests provides a platform to Enactus teams present their projects’ impact, evaluated by executive professionals. The national winner team moves forward to the Enactus World Cup, giving this team an opportunity to experience and celebrate the excellence in cooperation. PM4NGOs is an international non-profit organization that seeks for an equitable and sustainable world where social investment achieves the greatest impact. PM4NGOs promotes excellence in the management of social investment projects and programmes through the creation and development of best practice guidance for development professionals, certification schemes for those working in the sector who will be proud to hold an internationally recognized qualification and a forum for communication and discussion about international development sector best practice. The PM4NGOs mission is to promote and sustain the professionalism of program and project management in the international development sector. A Fundação Itaú Social e o PM4NGOs firmaram parceria neste mês de outubro para promover e compartilhar metodologias, boas práticas, ferramentas, e conteúdos de gestão de projetos e programas sociais, ampliando as opções de desenvolvimento dos profissionais e organizações apoiadas pelas duas instituições. A Fundação Itaú Social, suas iniciativas e parceiros terão acesso aos guias de boas práticas PMD Proe PgMD Pro, todas as metodologias e ferramentas do PM4NGOs, e ao programa de integração e desenvolvimento profissional contínuo PMD Pro+. Da mesma forma, os mais de 19 mil profissionais certificados na metodologia PMD Pro terão acesso às publicações e vídeos compartilhados pela Fundação Itaú Social e poderão se inscrever para os cursos oferecidos pela Rede de Avaliação Econômica de Projetos Sociais da Fundação. Além do intercâmbio de técnicas e ferramentas de gestão, as organizações pretendem colaborar na tradução e desenvolvimento de novas metodologias. “Acreditamos que a experiência e conhecimento da equipe do Itaú Social é fundamental para novas metodologias que venhamos a desenvolver e para aprimorar as já existentes, e esperamos poder contribuir fortalecendo os projetos de da Fundação”, afirma Edson Marinho, Diretor Executivo do PM4NGOs. O Itaú Social desenvolve, implementa e compartilha tecnologias sociais para contribuir com a melhoria da educação pública brasileira. Sua atuação está pautada no desenvolvimento de programas sociais, no fomento a organizações da sociedade civil e na realização de pesquisas e avaliações. Juntamente com uma rede de parceiros, fornecedores e colaboradores, trabalha para que municípios, estados e União se unam para entregar aquilo que é direito de todos: acesso à educação com aprendizagem adequada, sem restrição de tempo, espaço, raça, cor ou gênero. Por entender que a educação pública demanda uma organização coletiva, o Itaú Social convida todos os interessados para, juntos, criar e fazer prosperar um Polo de Desenvolvimento Educacional, de forma que seja possível formar cidadãos capazes de construir a nação que todos almejam. “I am Maged Kassoum. A humanitarian young man worker based in Syria. I think no effort is required to define or explain SYRIA. I am writing to tell you about my experience in achieving PMD Pro Level1, especially how I proudly gained PMD Pro certificate. Living in conflict zone, I apprehend the deep need for acquiring more professional skills and competences in humanitarian domain, especially in project development sector. I joined many INGOs: Syria Recovery Trust Fund/SRTF as field coordination officer; Islamic Relief Worldwide as FLS project officer and ACTED as TVET and SME Livelihoods assistant. During that time, my need to have more knowledge about managing projects increased fast; it even turned to a must. I was eager to attend and to study the most professional course which enable me to manage relief and aid projects professionally. Again, short time available to educate myself due to my engagement in relief work, unsafe environment due to different war works- fighting between opposed sides, battles, air attacks and different bombardment- and other catastrophic circumstances prevented me from attending development and training center. At last, I decided to search the internet for the ideal platform which can grant me this professional training. I registered in disasterready.org because I see it verified and reliable one. I read about PMD Pro in its content. Agile is defined as “relating to or denoting a method of project management, used especially for software development, that is characterized by the division of tasks into short phases of work [delivering value early and often] and frequent reassessment and adaptation of plans”. Agile concepts can be applied to many projects and can achieve better outcomes than more traditional methods. 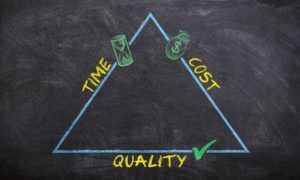 In every project the project manager’s challenge is to balance the triple constraints of Time, Cost and Scope (see section 1.3 of the PMD Pro Guide). Each of these constraints is connected to the others. Whenever one of these constraints is restricted or extended, the other constraints will also need to be extended/increased or restricted/reduced. The project manager needs to understand the relationships and trade-offs that exist between each of the constraints and agree priorities with stakeholders before the project is launched. It’s often hard to change these once the project is in progress. Generally, donors and stakeholders can be inflexible about the project scope, so time and cost have to be adjusted to balance the triple constraint and build an acceptable plan. The problem is that circumstances often change during projects that impose a change of scope. This forces a difficult rebalancing process, which, if unsuccessful, causes time delays and cost overruns – and unhappy stakeholders. • Scope is variable. It focuses on the highest priority requirements, with the expectation that the scope will evolve as the project progresses. There is a decision gate at the end of each iteration to re-prioritize existing requirements, to consider any new ones as the project moves forward, and to plan the next iteration. It’s a form of rolling-wave planning. The aim is to deliver the most important requirements within the budgeted cost and time, but maybe not all the requirements. For this process to work it has to be highly collaborative. It’s essential that project stakeholders are closely involved, particularly users. With this approach, donors and stakeholders will be more confident approving the project because costs and schedules are defined up front and the overall risk is lower. Hopefully, donors and stakeholders will accept that they can’t have everything, but what they do get will meet the main objectives of the project. So ultimately, the Agile approach to project management can result in a more successful outcome. • Won’t have at this time. This is known as the MoSCoW priorization (the term MoSCoW itself is an acronym derived from the first letter of each of four prioritization categories). This process can be difficult as stakeholders often prioritize all their requirements as Must Have! A rule of thumb is that typically the ‘Must have’ requirements should take 60% of the project effort whereas the ‘Could have’ requirements will take no more than 20% of effort in each iteration. Agile focuses on small incremental changes. The challenge can be that the bigger picture can become lost and create uncertainty amongst stakeholders. Building consensus takes time and challenges many norms and expectations. Resource costs can be higher; for example, co-locating teams or investing in infrastructure for them to work together remotely. The onus can be perceived to shift from the empowered end-user to the empowered project team with a risk that benefits are lost because the project team is focussed on the wrong things. Another criticism of Agile is that it can encourage project teams to cut corners, resulting in a poorly supported outcome. It’s important to remember that Agile projects need to be managed carefully just like any other even if they are “light touch”. For example, the necessity for heavy project documents should always be questioned with stakeholders. Things should not be done just because “we’ve always done it that way”. The critical governance decision is to select the appropriate approach as part of the project strategy and keep this under review. Level of certainty versus time to deliver is the balance that needs to be considered when selecting suitable projects to go Agile. Agile integrates well with PMD Pro phase model as part of the tailoring process. But before using Agile you should discuss what you are trying to do with your line management, donors and stakeholders, and seek buy-in from them. It may require a change of organizational culture to make it work! NGOs need to be Agile to survive and thrive – Agile is for everyone, it just needs to be applied with a big dash of common sense. • With the right projects it can produce better outcomes. This article was originally published on APM. The motivated team is the more productive team. That’s a fairly well established fact. 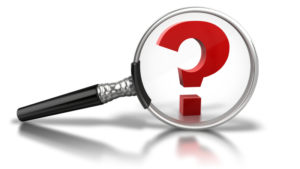 As the project manager or PMO director how do you get there? How do you make sure your project teams are as motivated and engaged as possible every time out on every project? This may apply more to consulting situations but consultants are people, too. Your project management staff and supporting team members – pay them well. Trust me, keeping the good ones around – and you know who they are and they know who they are – is very important to the success of your projects, the satisfaction of your project clients and the financial viability of your company. Don’t let or force the good ones to leave. It’s expensive to acquire and onboard good new talent and your projects and customers are important. You want an accountable and motivated project team? Get them assigned as early as possible to the projects. They can assist the project manager in early project planning and even take part in project kickoff. And the sooner the customer sees a full team the better. Your full team project engagement will be better if the team is involved in planning and the customer sees the teams as a well-oiled productive and collaborative unit as early in the project as possible. Yes, that can and will add expenses to the project so make that part of the sales culture and process to plan that in to the price of the projects overall. It is important if you can do it. Development professionals everywhere work to address the most complex global and local problems, ranging from extreme poverty and armed conflict, to outbreaks of infectious disease and gender-based violence. The root causes of the problems that development and on-governmental organizations (NGOs) seek to overcome often require multiple strategies and interventions to address the complex causes of poverty, violence, disease, social injustice, environmental degradation, and humanitarian disaster. How to be productive when you’re juggling multiple projects? While listening to a conference call about one project, are you tempted to check your email, scroll through social media, or jot down notes about something totally unrelated. Or do you keep several screens open on your laptop, switching from one document or spreadsheet to another? Contrary to some perceptions, multi-tasking can damage productivity rather than enhance it. Indeed, research shows that only two per cent of the population can do it successfully. According to neuroscientists the brains of ‘supertaskers’ become more active as they take on more tasks but for the vast majority of us, no amount of practice enables us to perform in these conditions. Furthermore, repeatedly shifting attention is exhausting because it takes time and energy to focus. Multiple projects can entail a deluge of demands on your energy and creativity. They can also lead to an inordinate amount of ‘time clutter’ – appointments, meetings, deadlines, etc. The key to getting things done efficiently and effectively is to review your schedule, to let go of surplus commitments and to focus on what matters most. You may have heard the expression ‘When everything is important, nothing is.’ It’s particularly relevant to being productive. Learning to plan and prioritise is paramount. 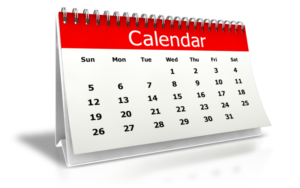 And if there’s too much on your to-do list, decide what you can either discard or delegate. Over the years, I’ve identified perfectionism as one of the most common challenges for anyone who struggles with time management. Are you putting yourself under pressure because you’re not only trying to complete several projects but you’re also endeavouring to do them all perfectly? If you’re aiming for impossibly high standards, it’s worth asking yourself this simple question: why aim for perfect when excellent will do? Another antidote to perfectionism is to distinguish between when 100 per cent is required and when it isn’t. More often than not, you’re likely to find that the projects you’re juggling don’t need to be perfect; they just need to be done. There’s no question that taking on several projects can prove testing but if you enjoy a challenge, the rewards can be immense. In fact, once you become accustomed to managing different teams, topics and tasks, you may never wish to handle just one project at a time. Read the original article at APM.